I Laponia Visitor Centre Bårjås/Porjus we show what happens in Laponia during the time of blue winter light and the dancing Northern Lights. Here you can watch the film Guojttem – Sámi Thoughts of Heaven and Earth. Here too, the reindeer herder tells of winter work with reindeer. We also show how to utilise what the reindeer and nature give, how to make clothes and everything needed to survive. 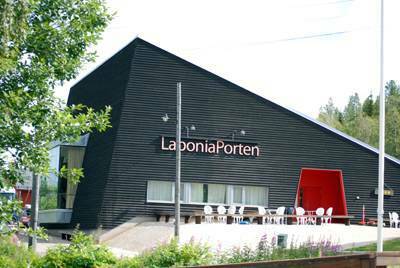 The visitor Centre lies at Laponiaporten – the gateway to Laponia, which also has a café in summer and receives groups and conference guests at all times of year. Laponia Visitor Centre is open: in summer, and at other times for guests who book in advance. Contact Laponiaporten if you want to visit us (minimum eight people). 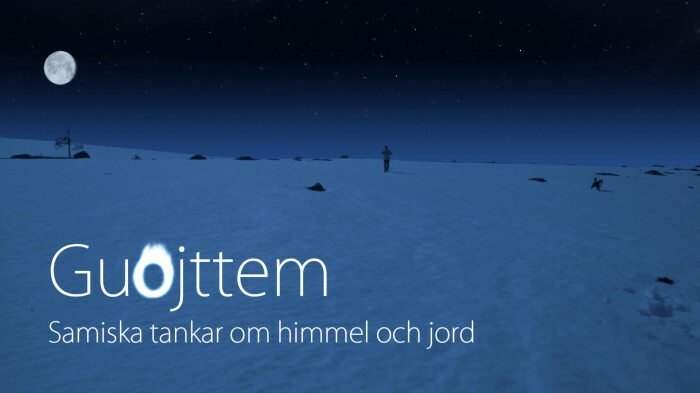 The film Guojttem was produced for Laponia Visitor Centre Bårjås and is not screened anywhere else. Learn more about the stars, the Northern Lights and religious beliefs linked to our dark winter sky. In the film, by filmmaker Janne Ahnberg, we see Per-Erik Kuoljok, Maj-Doris Rimpi. Maja Kielatis, Elias Jannok and Anna-Stina Svakko.